Channel 267 if you have the Sports Package (except for Cedar City, Utah where you can find it on Channel 126). Channel 521 if you have the HD Sports Tier (except for Mesquite, Nevada and St. George, Utah—you can tune in to Channel 121, and customers in Truth or Consequences, New Mexico should go to Channel 167). 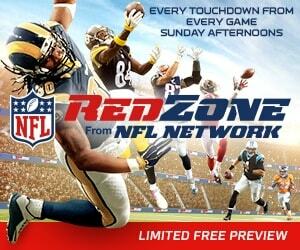 After you give it a try, call 844.474.5179 to order NFL RedZone for $42.99 for the entire season.